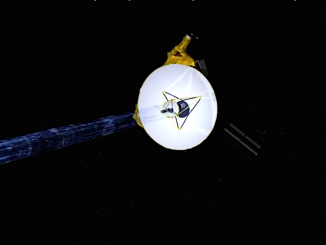 Thirteen years outbound from Earth and a billion miles past Pluto, NASA’s New Horizons probe is healthy and on course for a historic New Year’s Day flyby of its next target, a frozen remnant left over from the birth of the solar system 4.6 billion years ago, project scientists say. 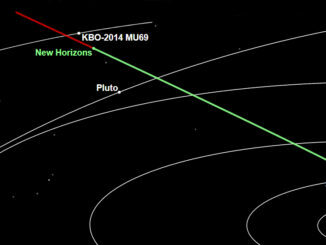 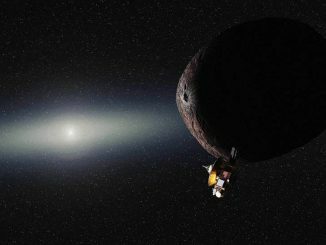 Scientists planning the the next phase of NASA’s New Horizons mission, a robotic craft that completed the first exploration of Pluto in 2015, are going into the flyby of a frozen, faraway city-sized clump of rock on New Year’s Day 2019 armed with little knowledge of the target lurking around 4 billion miles from Earth. 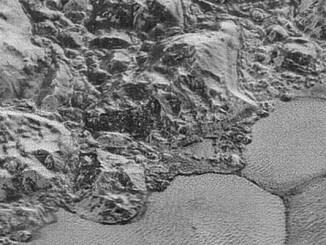 Scientists believe they can explain how an ocean of water is lurking beneath an ice sheet inside Pluto’s prominent heart-shaped region, an iconic frozen landscape discovered during the New Horizons spacecraft’s flyby last year. 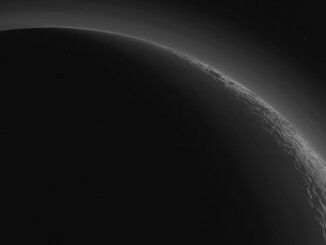 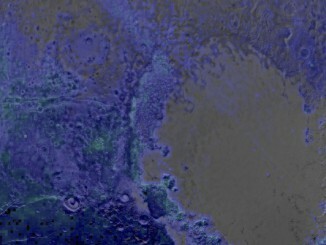 New maps produced from data gathered during the New Horizons spacecraft’s flyby of Pluto last year show surprisingly widespread water ice shaping mountains capped by methane snow and forming an underlying bedrock blanketing the distant world. 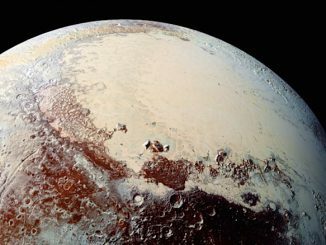 Nearly six months after NASA’s New Horizons probe zoomed past Pluto, just one quarter of the data stored on board has made its way back to waiting scientists, revealing a surprisingly varied terrain that includes glacial flows and steep mountains of frozen water floating in a “sea” of slush-like nitrogen ice. 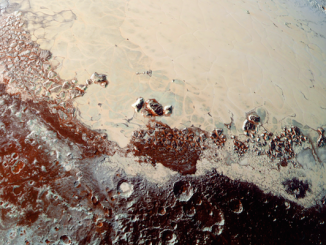 A high-resolution scan of Pluto from the New Horizons spacecraft published last week is now available in color, thanks to a new image release from NASA on Thursday showing craters, mountains and glaciers in a new light. 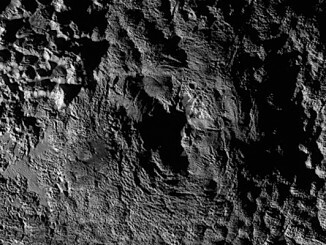 Scientists are marveling at some of the best views of Pluto recorded by the New Horizons spacecraft during its July 14 flyby of the unexplored icy dwarf in a set of photos released Friday showing Pluto’s icy, rugged topography in eye-popping detail.